Digital x-ray may have made its debut decades ago, but today researchers remain committed to creating a better radiological "mousetrap." In this millennium, digital x-ray may well be the modality that has received the most attention from developers of artificial intelligence (AI), who are beating a path to the radiology department's front door. AI algorithms are helping clinicians in a variety of uses, from improving calculations of chest x-ray radiation dose to analyzing suspicious lung nodules on radiographs. In the meantime, AI is leading the charge for better diagnoses of musculoskeletal, orthopedic, and pulmonary abnormalities -- just to name a few -- and to hasten imaging exams and the care of patients in emergency rooms and intensive care units. Even the field of forensic radiology could receive a boost from AI when investigators need to more accurately determine a person's age and gender. In fact, RSNA thinks so highly of AI's prospects that the organization created the Pneumonia Detection Challenge for this year's meeting. Teams of researchers were invited to develop AI algorithms to identify and localize pneumonia on chest x-rays. 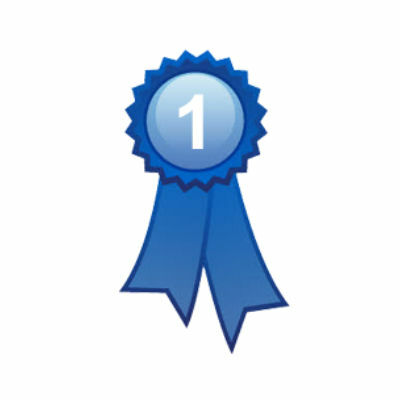 RSNA will present awards to the best presentations. But digital x-ray will be about more than just AI at RSNA 2018 -- bread-and-butter technology also will be on display. Researchers will share their results in experimenting with new x-ray detectors, more efficient components such as high-capacity tubes, and unprecedented configurations to optimize the performance of devices. New x-ray imaging techniques with suppressed noise, patient-specific approaches to personalized dosimetry, and antiscatter grid technology show great promise as well in improving performance. With the 104th annual meeting of RSNA kicking off in less than three weeks, there is no time like the present for the sampling below of digital x-ray presentations scheduled for Chicago. As always, noteworthy scientific papers, posters, refresher courses, and educational exhibits are available throughout the conference to broaden your knowledge on how best to use digital x-ray. For more information on all the conference offerings, as well as their times and locations, view the RSNA 2018 meeting program. Sunday highlights at RSNA 2018 will include the presentation of an algorithm designed to improve the calculation of patient radiation dose from chest radiographs. So far, the algorithm has proved more accurate than traditional methods. Can a carbon nanotube x-ray source on a stationary digital chest tomosynthesis system help image pediatric patients with cystic fibrosis? A group of researchers developing the technology think so. Which modality is best for measuring glenoid bone loss in patients with glenohumeral instability: x-ray, CT, or MRI? Researchers put the modalities to the test in a review of studies from five databases. Researchers are developing a new high-capacity x-ray tube designed to increase dose efficiency and improve image quality for low-energy, contrast-enhanced CT scans. German researchers are touting the superior image quality and comparable, if not lower, radiation exposure using a virtual antiscatter grid for bedside chest radiography in the intensive care unit. In this Monday presentation, researchers will discuss the benefits of artificial intelligence (AI) with convolutional neural networks for diagnosing anterior cruciate ligament (ACL) tears on x-ray. In this session, researchers will report early success in their development of deep convolutional neural networks to determine the gender and age of patients based on their chest x-rays. A new study has found that taking a photo of patients at the same time they undergo a point-of-care x-ray can greatly reduce, if not eliminate, errors in patient identification. Canadian researchers are developing a new x-ray detector design that has shown improved performance in early trials, according to this Tuesday presentation. How much does x-ray tube scatter contribute to radiation dose exposure for nearby clinicians and other staff? More than previously thought, according to this study from researchers at the Mayo Clinic in Rochester MN. How can digital chest tomosynthesis help ICU patients? When patients with lung issues in the intensive care unit (ICU) are not stable enough for transport to a CT scanner, a stationary digital chest tomosynthesis system may be a better option than a portable chest x-ray. A new virtual dual-energy imaging technique may be the solution to the difficult task of detecting lung nodules that overlap ribs and clavicles on chest x-rays. In this presentation, researchers will report on the value of advanced image noise reduction techniques to reduce radiation exposure for patients undergoing fluoroscopically guided cerebral angiography procedures. Belgian researchers are bringing to RSNA 2018 a large-scale, patient-specific approach to personalized dosimetry for 2D chest imaging. They will also discuss how to implement a dose monitoring platform.